It’s an undeniable fact that our data storage needs are in a constant growth pattern. Apple introduced the 512K Macintosh to great fanfare, yet we now speak of terabytes as an everyday reality and petabytes are on the horizon for some users! We have spent a considerable amount of time working with Seagate’s storage products, from a very fast, portable, and enormous USB 3 drive to a pair of their new Enterprise Level drives driven as a mirror by the venerable SoftRaid 4 & 5 software. In the first of this multi-part article on Seagate’s approach to storage, we discuss the 4TB Seagate Backup Plus Fast Portable Drive, followed by articles on the newly released 6TB Seagate Enterprise Capacity 3.5 HDD v4 Hard Drives, and SoftRaid 4 & 5 software. According to Seagate’s Scott Horn, VP of Marketing, “Unstructured data growth is doubling exponentially and will propel the digital universe to reach 16 Zettabytes of data by as early as 2017. This will cause cloud service providers to look for innovative ways to store more within an existing footprint while lowering operational costs,” In that quote he was referring to their new Enterprise drives, but the lesson remains. We are generating an awful lot of data. How many of us have ever even heard the term zettabytes? Our guess is, not very many! First kilobytes, then megabytes, gigabytes, terabytes, petabytes, and now zettabytes. The point is that how we manage data is at a point of intersection. When I first unpacked the 4TB Seagate Backup Plus Fast Portable Drive I started to giggle (I’ll admit to it!) because the idea that I could pop 4TBs of data in my pocket simply amazed me. Seriously, 4TBs in your pocket, could you have imagined this being a reality even five years ago? But it is a reality, and amazingly I’ve almost filled up all that storage space. Because my data storage tends to be mostly digital images and high-resolution digital audio files, in an age of 32GB SD and Compact Flash cards for your camera, filling a 4TB drive isn’t all that difficult. The drive itself is smooth, black metal, about double the thickness of a normal USB drive. I would have like to have seen it covered with a rubberized finish, or supplied with a silicon rubber skin, since the plastic is rather slippery in the hand. It is equipped with a single USB 3 port, and supplied with two cables - one is single 18-inch cable, and the other a dual-USB cable, which has one USB connector for power and data, the other just for additional power, which is useful for some laptops that don’t provide enough current via a single USB port. The software offerings include Seagate Dashboard pre-loaded on drive, and an NTFS driver for Mac. So, plug and play. One thing to keep in mind is that this is a striped drive, so it isn’t designed for archival or long-term storage of data. It is designed for is speed and storage quantity in a portable package. The problem with two drives striped to appear as a single volume is that if there is a problem with one of the drives, this typically means the total loss of data. While some dual-drive solutions allow you to choose a mirror (so both drives are capturing the same data in case of a hardware failure of one drive) or stripe, this drive is only a striped configuration. Who should be using this drive? Anyone who needs a fast, reliable solution for massive amounts of data. It’s ideal for photographers, videographers, and audio engineers, to name a few. Want total redundancy? Buy two of them, and set up a mirror! The drive is formatted as an NTFS drive, so at home with Windows, and the built-in NTFS driver allows it to work fine with the Mac OS. I did have a few permissions issues, so I’d suggest that if you plan to use only a Mac, you ought to copy the software on the drive to your computer, reformat the drive as GUID drive so is native to the Mac, then copy the Seagate software back to the drive. This has the added advantage of allowing Mac OS based disk maintenance, repair, and recovery utilities to work with the drive and file formats more effectively. If you plan to work cross-platform, however, the drive performs just fine as it is. In any event, I found this drive to be rock solid, fast, light, and the software makes it easy to backup your data. Using the free Seagate Mobile Backup app on an iOS or Android mobile device, it is simple to back up files from the device to the drive, or even to online storage vendors. You can set up automatic data transfers from mobile devices using a WiFi connection, or services like Dropbox or Google Drive. We tried both the Android and iOS apps and they each worked well in our tests. Since we have familiarity with previous Seagate apps and products such as the Seagate Satellite, Wireless Plus, and web-based desktop solutions, all seemed very familiar and bug-free. The 4TB Seagate Backup Plus Fast Portable Drive is a great solution for anyone needing fast, easy-to-use, portable storage coupled with enough data throughput to meet the needs of video, photo, and audio editing and post-production work on the go. 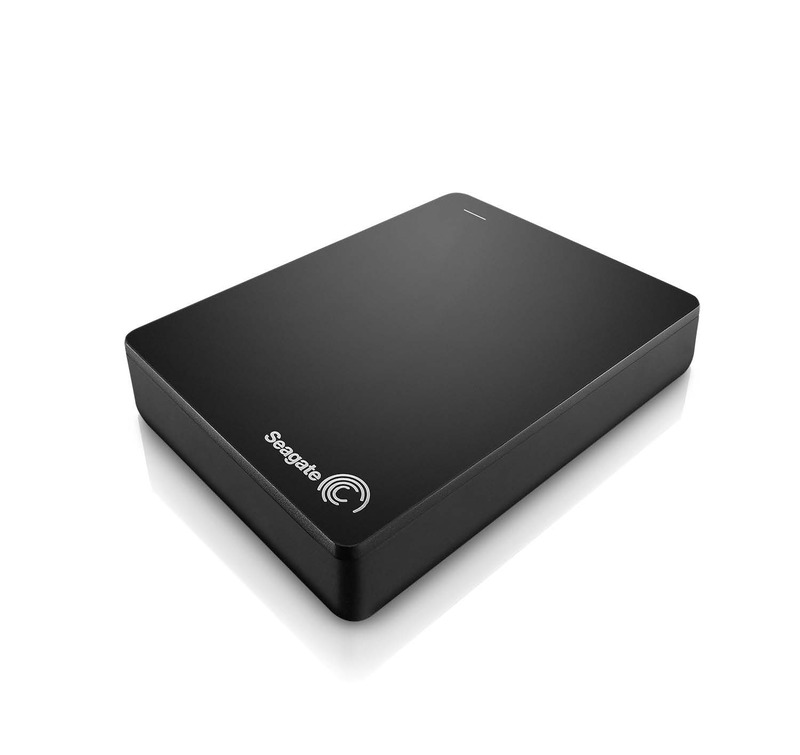 The 4TB Seagate Backup Plus Fast Portable Drive comes highly recommended!